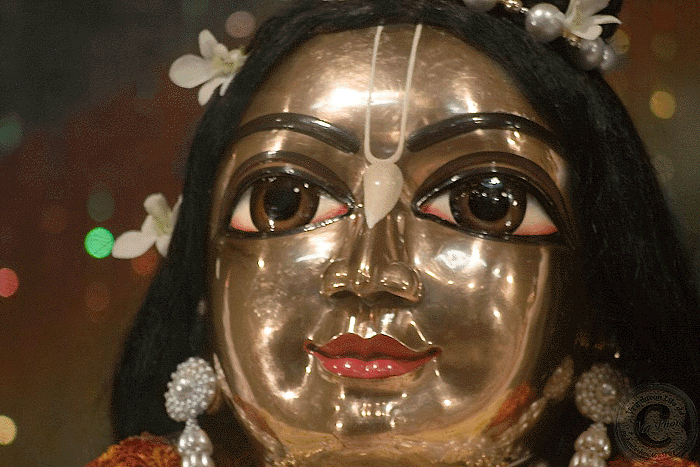 Jan 31, KUALA LUMPUR (SUN) — Today is the glorious Appearance Day of Sri Nityananda Prabhu. In Ekchakra lived a pious brahmin who was famous because of his title `Ojha’. He was a wealthy man but had affection for his Yajamanas on whose behalf he performed his worship. His wife was a lady of sweet disposition but she was unhappy because she had no child although she was able to bear children. Each of her children died at the time of birth. 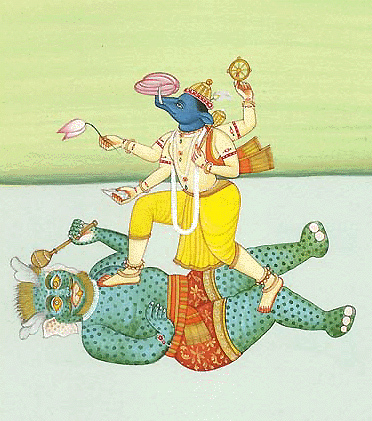 Jan 30, KUALA LUMPUR (TUE) — Today is the auspicious Appearance Day of Lord Varaha, the Boar incarnation. bottom of the universe, sits fixed upon the tip of Your tusk like a spot upon the moon. Jan 28, DENVER, COLORADO (THE HUB) — The Vedic Viewpoint and Other Spiritual Perspectives. Veda means knowledge, and the Vedas are the original “how to” books sent by God, who is also known as Krishna, Jehovah, Allah, Vishnu, etc. Ayurveda is the original medical science and science of life, given by God, who is called by the name Danvantari Bhagavan. According to Ayurveda, there are three items which make up the physical body, namely phlegm (Kapha), bile (Pitta), and air (Vata). Ayurveda treatment concerns itself with the cause of these three elements (water, fire, air) which are the basic conditions of the body. Ayurveda contains the field of biology, botany, herbology, medicine, anatomy, nutrition, hygiene and surgery. Jan 29, KUALA LUMPUR (MON) — It is said that if one observes upavasa on this day then one receives entrance to Visnu’s abode, even though one has not performed the other vratas of the year. The half-day fast (vrata) for the appearance of Lord Varahadev is also observed on this Ekadasi day, and the utsav (festival celebration – pujas and feasting, etc.) is observed on the Dvadasi, which is when He appeared. Yudhisthira Maharaj said, “Oh Lord of the lords, Sri Krishna, all glories unto You! Oh Master of the universe, You alone are the source of the four types of living entities – those born from eggs, those born from perspiration, those born from seeds and those born from embryos. You alone are the root cause of all, Oh Lord, and therefore You are the creator, maintainer and destroyer. “My Lord, You have so kindly explained to me the auspicious day known as Sat-tila Ekadasi, which occurs during the dark fortnight (krishna paksha) of the month of Magha (January – February). Now please explain to me the Ekadasi that occurs in the light fortnight (shukla or Gaura paksha) of this month. By what name is it known, and what is the process for observing it? Who is the presiding Deity that is to be worshipped on this sublime day, which is so very dear to You? Jan 28, KUALA LUMPUR (SUN) — Today is the Disappearance Day of Sri Ramanujacarya. Sri Ramanuja Acarya appeared around 1017 A.D in a pious brahmana family. 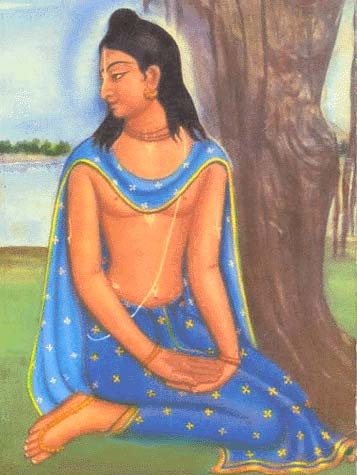 He became the formost Acarya in the Sri Sampradaya and was reputed to be the incarnation of Laksmana, the younger brother of Lord Ramacandra. He was a boy of extraordinary intelligence and placed himself under the charge of Yadavacarya, a renown Sankarite scholar. His guru was struck with his marvelous intellect and became very uncomfortable on account of his firm faith in Bhakti. Jan 27, MAYAPUR, INDIA (SAT) — The devotees in Mayapur spent a very beautiful day at Harihara Kshetra, where Lord Visnu and Lord Siva are residing combined into one Deity form – Harihara. This deity has quite a history. A few times Harihara has been stolen by bandits and recovered. The last time this happened, Harihara was held in the custody of the police for 8 months. Only after ISKCON (GM, Nitai Prasad Prabhu) had contacted them were they willing to release Him, under condition that a nicer temple would be built for Him first. So, ISKCON Bhaktivedanta Charity Trust has restored and significantly improved the existing temple in Harihara Kshetra.